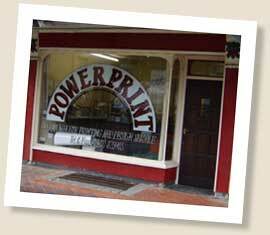 Formed in Mid-Wales in 1987, Powerprint operates from offices located in a charming Victorian building just off the High Street. Customer service, high-quality printing and state-of-the-art technology are taken very seriously at Powerprint. We have a wide range of loyal clients, from local authority groups and small businesses to large national corporations. Come and visit us today to discuss your design and print requirements!